My recent revelation over on our Insta stories that I had mastered the art of keeping warm wasn’t a flash in the pan throw away comment, it was in fact it a major hallelujah moment! And caring is sharing so here’s a layer by layer breakdown to my tried and tested route to keeping warm. But first, I have a confession! I recently popped to our local tack shop to buy a pair of £14 stirrups for Polo Mad Son, but came out with not only the stirrups and an Ariat base layer for said small person but also a rather delicious long blue coat for me (it was on sale! ), and I decided to wear it home rather than walk in with a big carrier bag (and let’s be honest here, I wasn’t thinking of the environment). I may have asked my son not to mention that it was new as Horse Phobic Husband knows I’m partial to coats! Now, the morale of this confession is one must never ask a child to not mention something (excuse the double negative)…as soon as we walked in to the kitchen, said Darling Son enquired with a cheeky smile that he had never seen the coat I was wearing and was it new?! 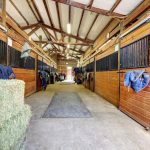 Cue much hopping from leg to leg and a quick dash to feed the horses! Anyway, back to keeping warm. This outfit has been tested on two of the most bitter and windiest days so far this year and I fear they won’t be the last. 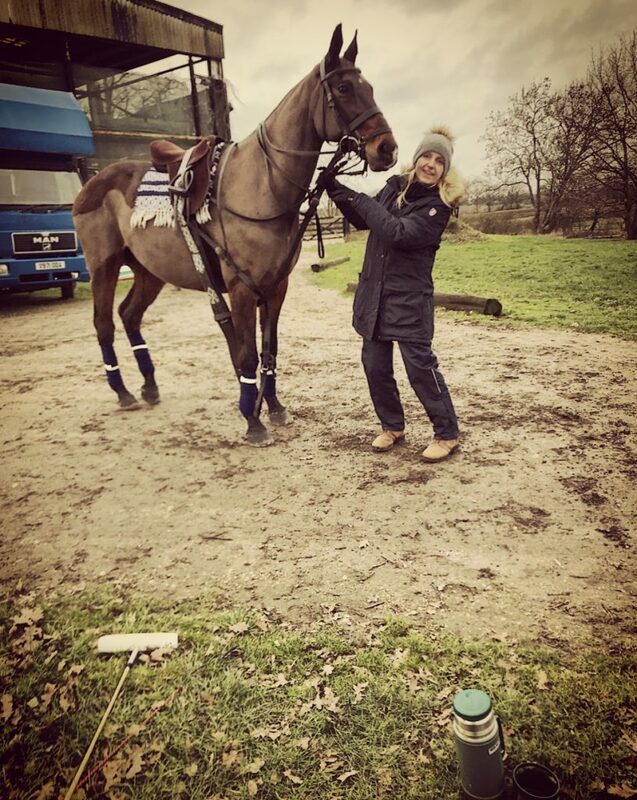 Whether you’re on grooming duties, cheering from the rugby touch line or doing your own horse, I have genuinely got keeping warm down to an art form and have never been happier. 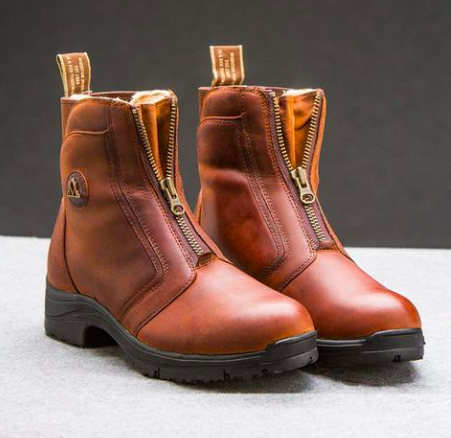 Starting at the feet and working upwards, invest in a good pair of boots. 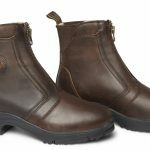 Mountain Horse’s Snowy River Paddock Boots are heavenly both for riding and wearing at events. They have a snug faux fur lining and are also lined with Thinsulate. I always wear two pairs of socks. 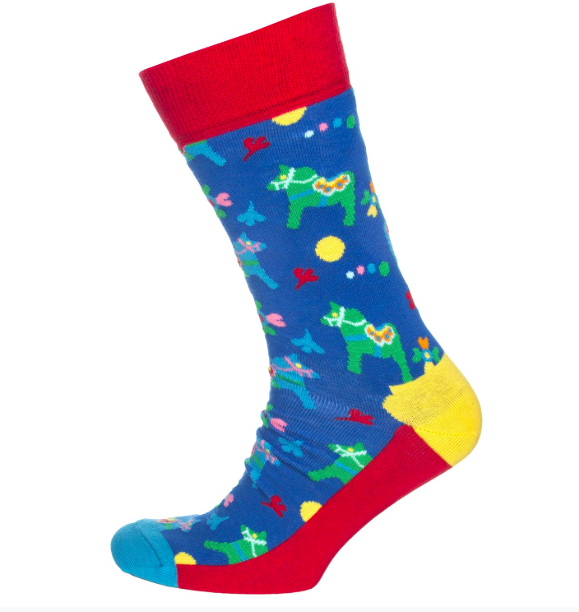 The first pair are lifesavers, M&S Heatgen ankle socks (pack of 2 £8) and the second are 100% cotton from Happy Socks. Always put the M&S ones on first as this really makes all the difference. Next up is trousers, and yup, the key to staying warm if you are spectating or on the ground is two pairs. 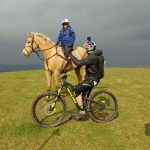 If you’re riding, Noble Outfitters softshell riding pants (£79.95) have revolutionised my chilly mornings. 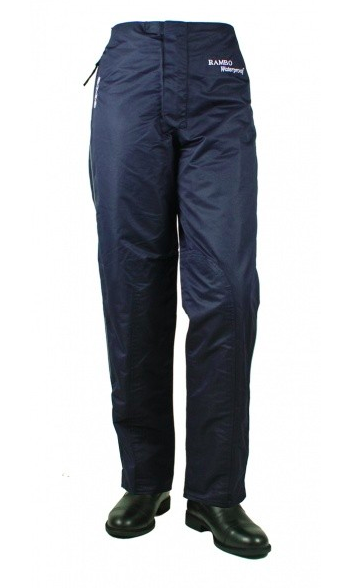 They are so comfy and feel a bit like a wet suit thanks to their water repellence and four way stretch and are lined with a luxurious fleece for extra comfort and warmth retention. If, like me, you’re regularly on grooming duties for your kids, I highly recommend Zara’s basic jeans – they’re not denim but lovely and stretchy and have a sort of twill feel to them, which makes them so much warmer than traditional denim. 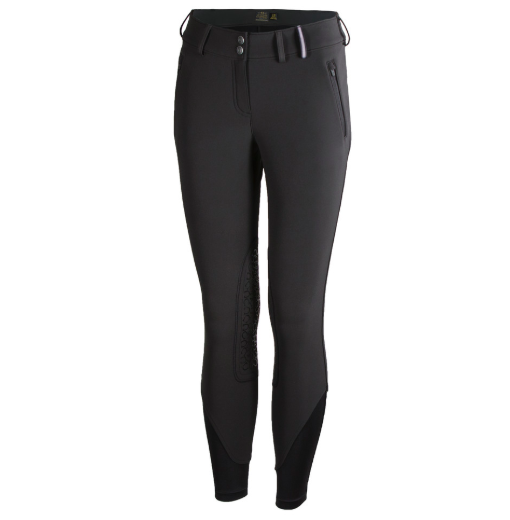 Over the top of these I wear Horseware’s Rambo waterproof trousers, which are fully waterproof, windproof and breathable with an elasticated waist and a full lining. They are so easy to whip on and off and have saved my bacon at numerous rugby matches often causing much envy from fellow mums! 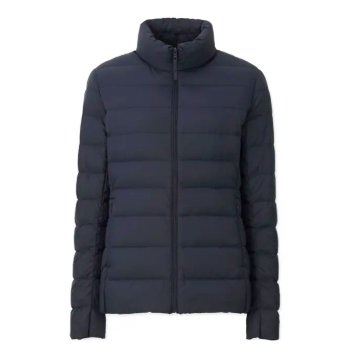 Staying with Uniqlo, if you haven’t discovered their ultra light down jackets, there is no time like the present! These thin jackets are surprisingly warm and so light. They scrunch up in to a ball if you need to lose a layer and come in so many lovely colours. 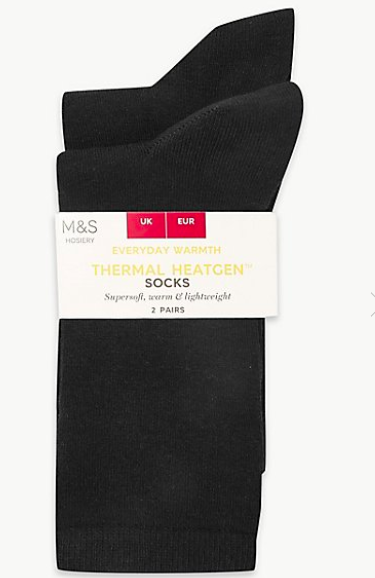 Also currently on sale, they are great under a thick coat or on its own when not as bitterly cold. And now for the big reveal of my new coat…it’s a keeper! 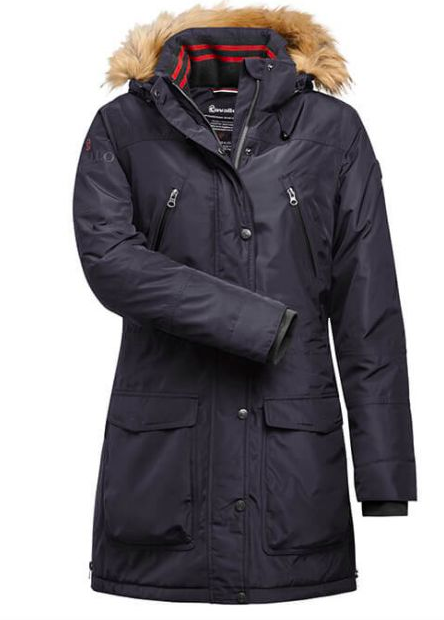 Cavallo is a brand that never disappoints and the Luzy Functional Parka is so incredibly warm. 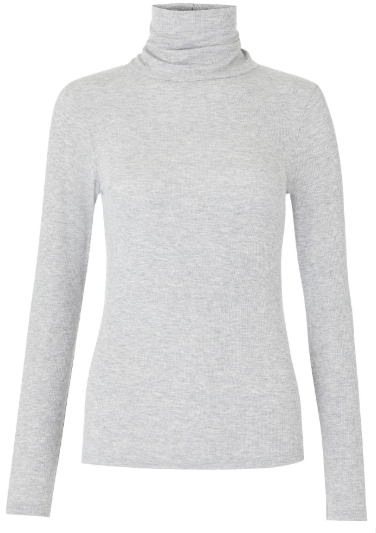 Whilst it isn’t going to protect you in a full on deluge, it is shower proof and perfect for braving the elements. I love its length and it has great pockets for your phone, gloves and and car keys. On sale at the mo from £210 to £160 at Harley Equestrian. All that is left is accessories. 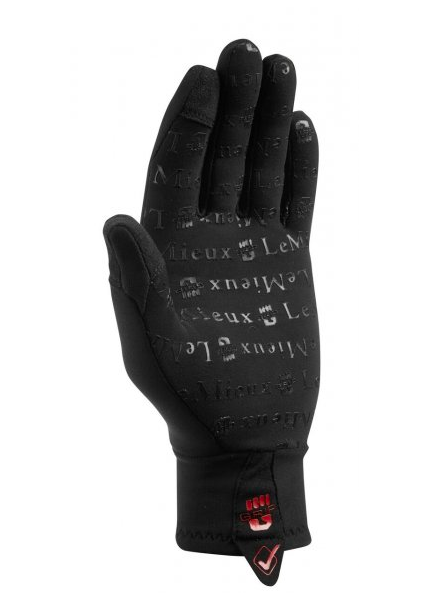 I’ve recently invested in a pair of Le Mieux polar grip gloves and am so pleased with them. 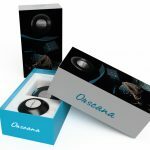 They are thin enough to be able to undo tack and thanks to the super soft Polar-Xpand fabric are so warm with a silicone power grip palm and have suede touchscreen friendly fingers, which do actually work. 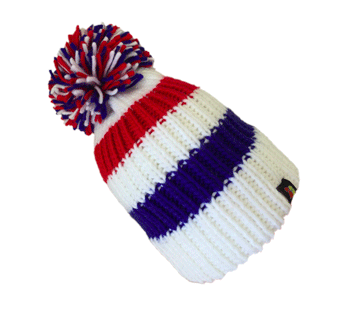 When it comes to your hat, there are oodles to choose from and you’ve probably already got a fave but check out the fun collection from Big Bobble Hats. We love this patriotic red, white and blue one. 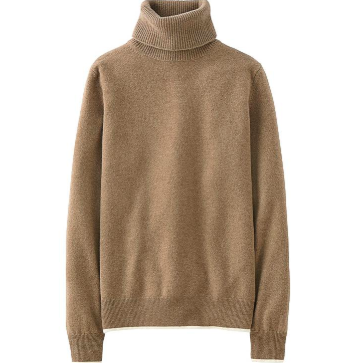 And finally, even in your roll neck cashmere, add a scarf for extra warmth. 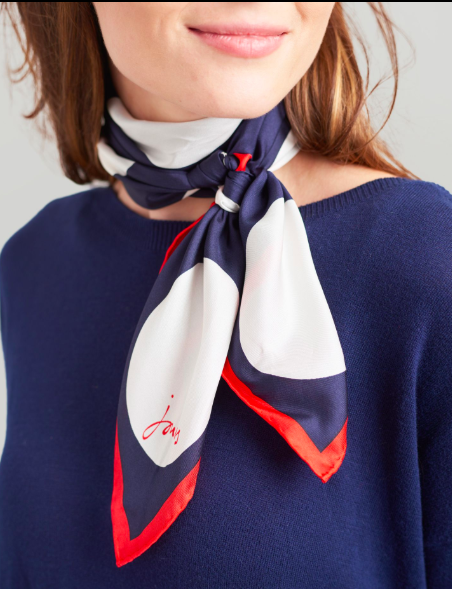 Whether silk, wool or cashmere is your chosen thread, a smart scarf adds a lovely touch and how gorgeous is this new Bloomfield silk scarf from Joules? 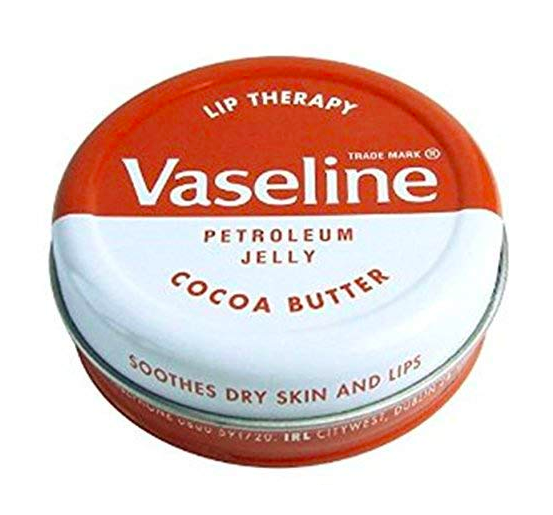 Last tip is to keep a tin of Vaseline’s cocoa butter lip therapy in a pocket. It lasts for ages and whilst it won’t keep you warm, it will protect your lips and seeing as Valentine’s Day is looming, let’s just say, proper planning prevents piss poor performance! 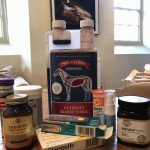 Does your horse need a boost?